"Infinite Circles Personal Checks" product is already in your cart. Show your style by ordering Infinite Circles personal checks available exclusively by Extra Value Checks. Alternating in four pastel shades of blue, pink, green, and orange, this pattern is simple at first glance but shows depth and movement when looked at more closely. 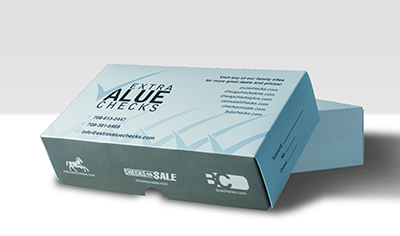 Available in single and duplicate check formats. Matching address labels and checkbook covers are also available.